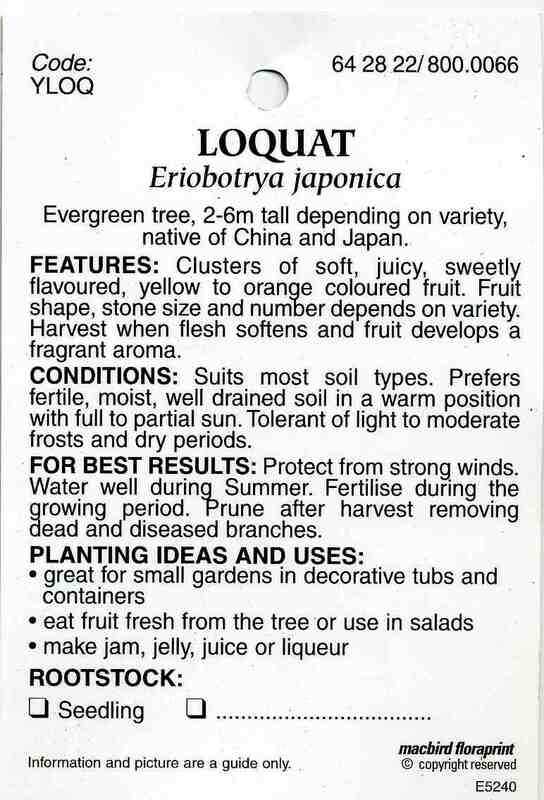 Evergreen tree, 2-6m tall depending on variety, native of China and Japan. 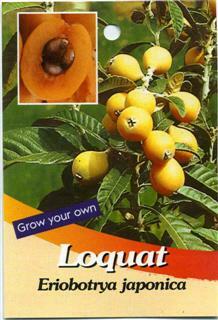 FEATURES: Clusters of soft, juicy, sweetly flavoured, yellow to orange coloured fruit. Fruit shape, stone size and number depends on variety. Harvest when flesh softens and fruit develops a fragrant aroma. CONDITIONS: Suits most soil types. 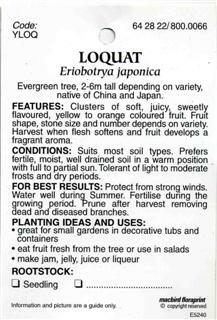 Prefers fertile, moist, well drained soil in a warm position . with full to partial sun. Tolerant of light to moderate f rosts and dry periods. FOR BEST RESULTS: Protect from strong winds. Water well during Summer. Fertilise during the growing period. Prune after harvest removing dead and diseased branches.